This package includes a Copenhagen Hop On Hop Off 72-hour bus ticket for all 3 routes in Copenhagen. See all the top attractions of Copenhagen in 3 days while you hop on and hop off the bus as many times as you want. The bus stops are near the top attractions making your sightseeing as comfortable as possible! This package includes a Copenhagen Hop On Hop Off 72-hour bus ticket for one route. Choose between the Classic Copenhagen, Colourful Copenhagen or the Urban Green Copenhagen route. See all the top attractions of Copenhagen in just one day while you hop on and hop off the bus as many times as you want. 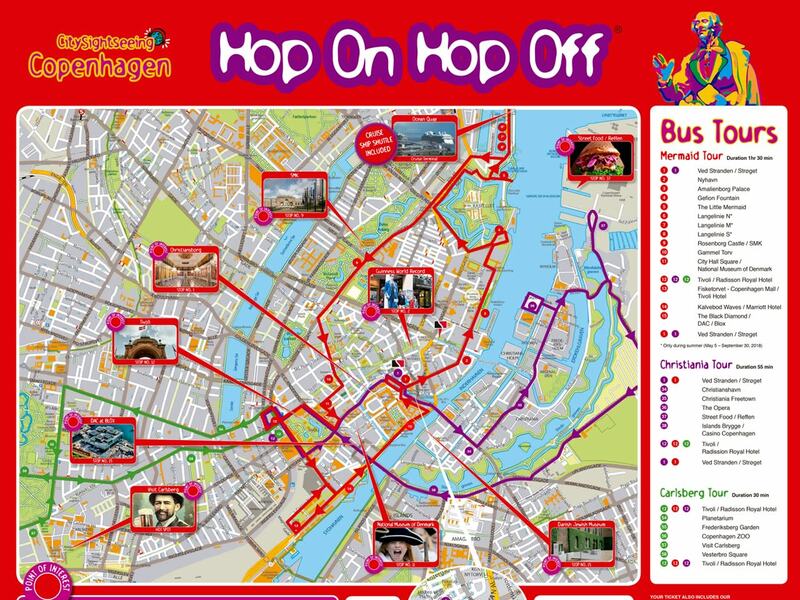 The bus stops are near the top attractions making your sightseeing as comfortable as possible! This package includes a Copenhagen Hop On Hop Off 72-hour bus ticket for the classic tour (1 route). See all the top attractions of Copenhagen in just one day while you hop on and hop off the bus as many times as you want. The bus stops are near the top attractions making your sightseeing as comfortable as possible! Ticket validity is for consecutive hours from first use. A 72-hour ticket is valid from the time redeemed until the same time 3 days later. The on-board bus audio guide is available in the following languages: English, Spanish, German, Italian, French, Chinese, Japanese, Russian, Polish, Swedish and Danish. Citi discovery did a great job. City Tour and Channel tour where well organised and all in time.